1. Krishna Trust was founded and registered in January 2013 to serve the following goals: (a) to provide care of the needy victims of Alzheimer’s disease; (b) to provide help and counsel to caregivers of Alzheimer’s victims; (c) to serve the cause of girl child education; (d) to facilitate research on these issues; (d) to raise public awareness on these issues through holding public lectures, workshops, bringing out publications, etc. ; (e) to raise funds to serve the above mentioned activities; and (f) to take all necessary steps to pursue the goals of the Trust. 2. 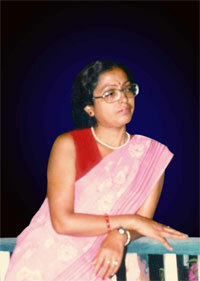 Dr. Krishn a Bhattacharya was a noted girl child educationist. She was also the Director of West Bengal Open School System. By training she was a historian. She was a victim of Alzheimer’s. She died in September 2013. The Trust was set up to look after her and the help activities related to Krishna Bhattacharya’s life and the value of girl child education to which she was committed. 3. The Trust has donated wheel chairs, and other medical care equipment to a hospital that looks after the Alzheimer’s victims like late Krishna Bhattacharya. It has now planned a workshop with the caregivers of the Alzheimer’s victims. It has also undertaken preliminary steps towards organising information and research on women caregivers in Kolkata, with particular reference to migrant care workers. 4. Krishna Trust got the Income Tax Account Number and on the basis of that opened its bank account in May 2013. Its accounts are audited and returns are filed regularly. It has approval in perpetuity of U/S 80 G (5) (VI) of the Income Tax Act by which donations made to the Trust shall qualify for tax deduction. 5. From 2014 the Trust has instituted an annual award, “Krishna Memorial Award” to (a) honour dedicated educationists working on girl child education; and (b) to encourage girl children pursuing education under disadvantaged conditions, such as poverty, physically disability, mental disability, etc. 6. In 2013 It gave Rs. 15,000/ (fifteen thousand rupees) each to the following caregivers of Alzheimer’s victims - Anajali Mistri, Rinku Deb, and Jabarani Samaddar - as recognition of their services to a victim of Alzheimer’s and as contribution towards their social security. 7. Krishna Trust has instituted annual Krishna Memorial Awards for women educationists, girl children from disadvantaged background striving for education, and women caregivers. Along with the annual awards annual Krishna memorial lectures are also held. The annual lecture is held on the day of the conferring of the awards. The lecture is dedicated to the themes of (a) care and (b) women’s education. 8. In 2014, the first annual awards were given to (a) Noor Jahan Shakil and (b) Amina Khatton for their exemplary services to Muslim girls’ education. The award carried citations and Rs. 15,000/ to each recipient. In 2015 the awards were given to (a) Laxmi Deb, a girl of class VIII and coming from a poor slum dwelling family, and earning merit in the school while being promoted to class IX, and (b) a school, named Tagore Foundation School, which gives special emphasis on training mentally retarded children while educating them in mainstream system. In 2016 the awards have been given to (a) Tuktuki Mondal who coming from a rag-picking pavement dwelling family in Kolkata, not only pursued education braving extreme poverty and hardship since childhood, but also developed a vision for social work and continues her fight for the rights of homeless people in Kolkata; and (b) ShikhaShikari (Bodak), a health worker in Shramik Krishak Maitri Swasthya Kendra, who has also braved poverty and ill fortune in dedicating her life for care work. 9. The Krishna Memorial Award ceremonies attract educationists, philanthropists, and social activists who participate in the programmes. Women are present in large number. The recipients are selected by a search committee. 10. In 2014 the lecture was delivered by an eminent historian of the State University of New York, Oswego, Professor Geraldine Forbes on “’I could live like a boy in every other respect’”: Misperceptions about Education for Women”. In 2015 the Second Krishna Trust Memorial Lecture was delivered by Professor Manabi Majumder, a noted social scientist working in the field of education, on the theme of “Girl Child Education in India”. In 2016 Dr. Punyabrata Gun delivered the third lecture on “Women’s Health and Universal Health Care. These annual lectures are published by the Trust. 11. In 2015 the Trust provided financial to two poor girl children towards purchase of books. 11. Krishna Trust has also published two books, titled, (a) Krishna: Living with Alzheimer’s (Women Unlimited, New Delhi) and (b) Krishna Bhattacharya’s doctoral dissertation, Indology, History Writing, and the Nation: Bengal, 1847-1947 (Frontpage, Kolkata). The book on Alzheimer’s has been appreciated widely and excerpted in several publications, and reviewed. Wider reach of the book will serve the goals of the Trust. Several people have communicated to the Trust their appreciation. 12. Krishna Trust will pay particular attention to women caregivers of the victims of incurable diseases like the Alzheimer’s. 13. Krishna Trust works in close collaboration with Calcutta Research Group. Late Dr. Krishna Bhattacharya was a founder member of the CRG. Paula Banerjee, Sibaji Pratim Basu, Shikha Ganguly, Uttam Kr. Ray, Ranabir Samaddar, and Chandra Sengupta are the trustees. Ranabir Samaddar is the Chief Managing Trustee and Sibaji Pratim Basu is the managing trustee.